D-type: The pneumatic air actuator can be disassembled into individual parts and replaced / Aluminum in the small sizes reduces weight / Replaces Dunlop "Springride"
ContiTech has added the D-type series to its air actuator product range. The unique thing about this series is that it is designed in such a way that every single component right up to the rubber bellows can be quickly and easily replaced. This simplifies the recycling process as rubber and metal parts can be separated more easily. 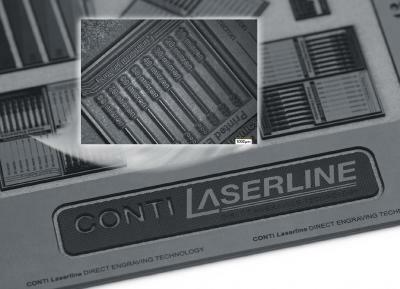 In addition, ContiTech produces the connecting plates for the D-type series with diameters of up to 175 mm from aluminum. This is the standard material in many pneumatic products, and is now available in the ContiTech air actuators as well. "The products have been perfectly designed to meet market requirements," says Dr. Olaf Kluth, head of the Industrial Applications segment at ContiTech Air Spring Systems. "The connecting parts have been designed in such a way that the air actuators can also be used as a replacement for bellows, as is already the case with the Dunlop 'Springride' in France, for example. Dunlop 'Springride' has now ceased production. 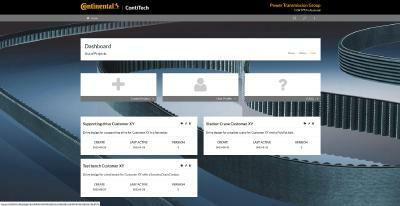 One of the results of this is that demand for ContiTech has risen." 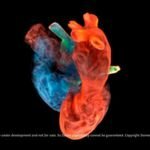 The product range of the new D-types can be divided into eight different sizes, each of which is available as a one-, two- or three-convolution bellows and has dimensions of 80 mm/type 22 up to 435 mm/type 816. Without a piston rod, strokes of more than 400 mm are possible. The feasible lifting force range extends from 0.5 KN to 80 KN. Based in Hanover, Germany, ContiTech produces its numerous air actuator designs using high-tech elastomer qualities. ContiTech air actuators are highly durable, have a long service life and are cost effective. 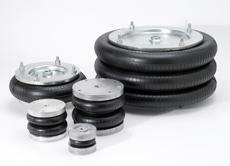 The design of the dimensionally stable elements is comparable to that of a tire or air spring. They are used to produce extreme force in pneumatics where little space is available for installation and exceptionally harsh conditions are prevalent. Very well-known applications of the D-types are power collectors in trains (pantographs) and paper machines. In addition, there are the comparable applications such as those with pneumatic cylinders based on a simple principle, e.g. in automation, glass, wood and agricultural engineering. With the development of new, removable air actuators, ContiTech has restructured the designation of the product range. The D-types will now complement the tried-and-tested air actuators with firmly attached connecting parts (C-series), air actuators with bead ring connecting parts (R-series) and rolling lobe actuators with plastic connecting parts (S-series). 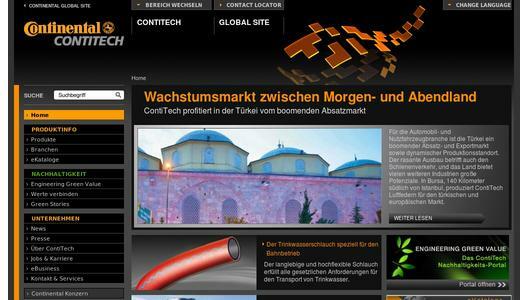 Technical details about air actuators are available online at www.contitech.de/iap or www.contitech.de/ial.